Furthermore, as most of you know, ROFFS™ was sold to long time employee Matt Upton back in April of 2018 (https://www.roffs.com/2018/05/roffs-press-release-announcing-transfer-ownership/). We are overjoyed to have kept all experienced front office staff and analysts that allowed for a smooth transition. For instance, our excellent staff, with improved technology and experience, was able to get out 95% of all requested fishing forecasting analysis in 2018. 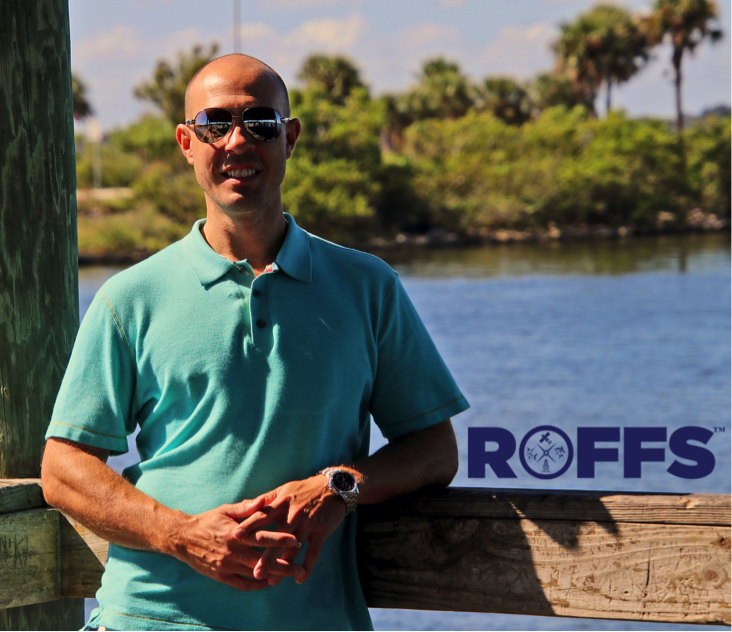 As we continue a new era at ROFFS™ we would like to take a moment to reflect back and thank Dr. Mitchell Roffer who founded ROFFS™ in 1986 and had a large part in building this company to what it is now. Thank you Mitch for all that you have done through the years to maintain excellence and networking. We look forward to the future as we improve our products, technology, and develop new partnerships while maintaining our current relationships. We also want to take this opportunity and specifically thank our advertisers and business partners who have contributed to ROFFS™ success in 2018 and hopefully continue to do so in 2019. We also remain involved in the oil and gas rig monitoring and ship routing industry and thank our partners DTN LLC and schaudt.us for a job well done as we look to improve and expand our horizons into the future. We are excited to announce that we will once again have a booth at the Miami (FL) International Boat Show (Feb. 14-18, 2019), the Atlantic City (NJ) Boat Show (Feb. 27 – Mar. 03, 2019) and this year at the New England Boat Show (Feb. 9-17th, 2019). We will be in the Goose Hummock Shops booth on Feb. 9-10th in Boston, MA at the New England Boat Show, so please come see us. There will be special incentive to visit us at the boat shows to save more money on pre-pain plans so please stay tuned! 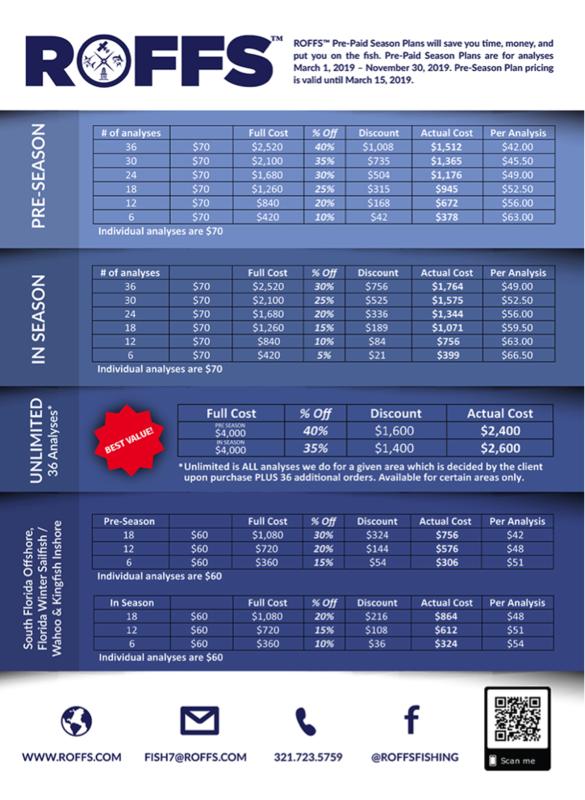 As we look to 2019, some things will remain the same, but we will be introducing improved products, formats and overall look, some tweaks with office policy and hours, as well as, new partnerships and updated software/hardware to make our analyses more accessible to our clients and make business run more efficiently. Furthermore, we will continue to incorporate and evaluate the newer satellite data from NASA, NOAA and ESA to improve our spatial and temporal coverage in near real time and give us an advantage over our competitors. We take satisfaction in providing you with the most detailed analysis of the ocean conditions to improve your fishing/working environment and productivity. Therefore, PLEASE stay active with our web site (www.roffs.com), social media platforms (links below) and weekly newsletter for important announcements and improvements and, as always, we welcome your feedback. We hope everyone had a wonderful 2018 season and look forward to a happy, healthy and productive 2019 season.